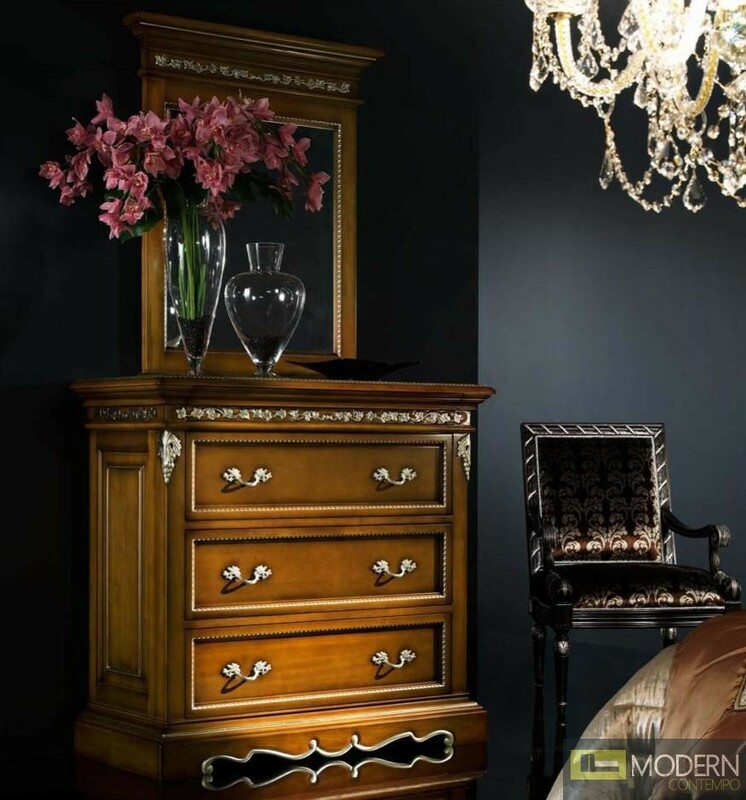 This stunning piece of furniture is imported directly from Italy. The bed is constructed of all-natural walnut hardwood and given a clear veneer coating to preserve beauty and durability. 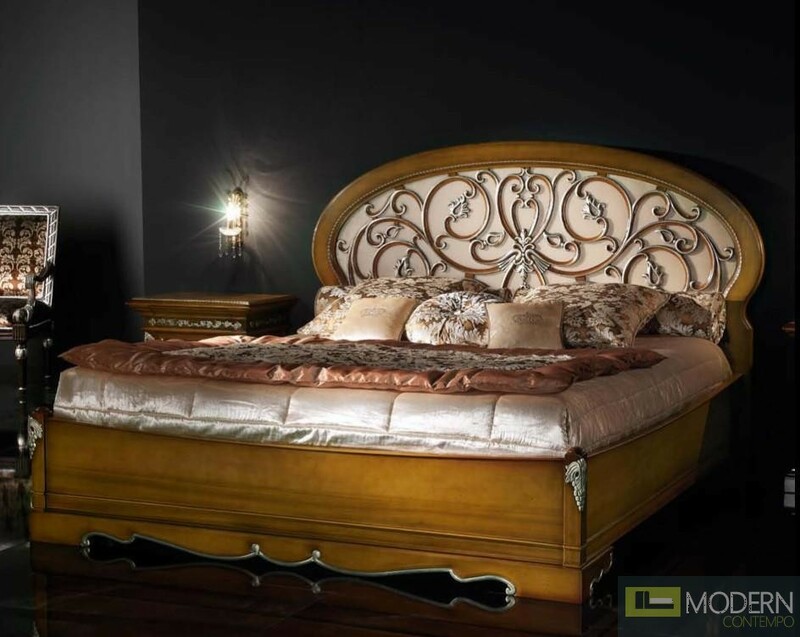 Allover the bed are intricate wood carvings, and silver metal accents. 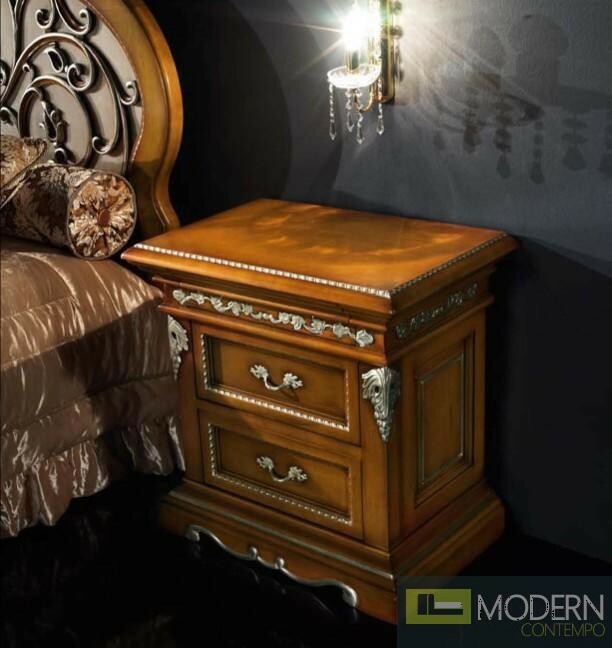 The headboard has an oval shape and boasts interesting metal detailing. 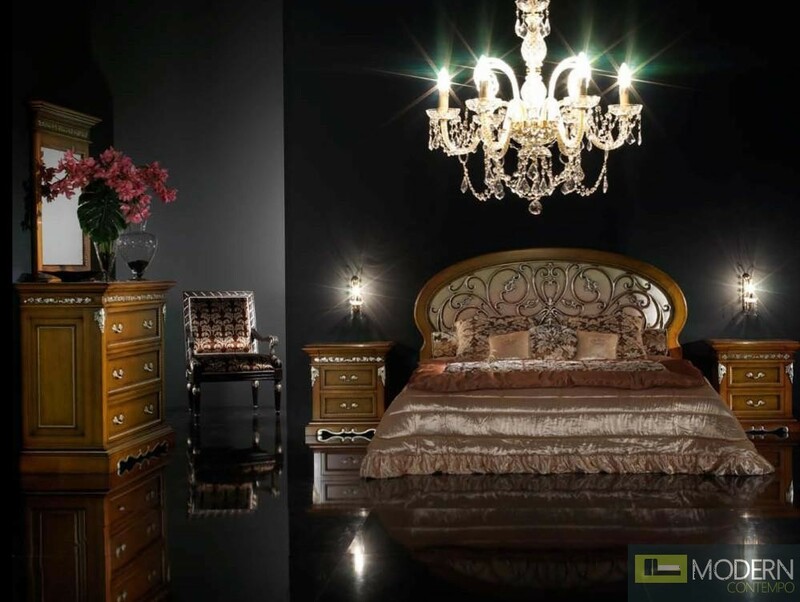 Please call to verify the availability and price of the matching dresser and nightstands.